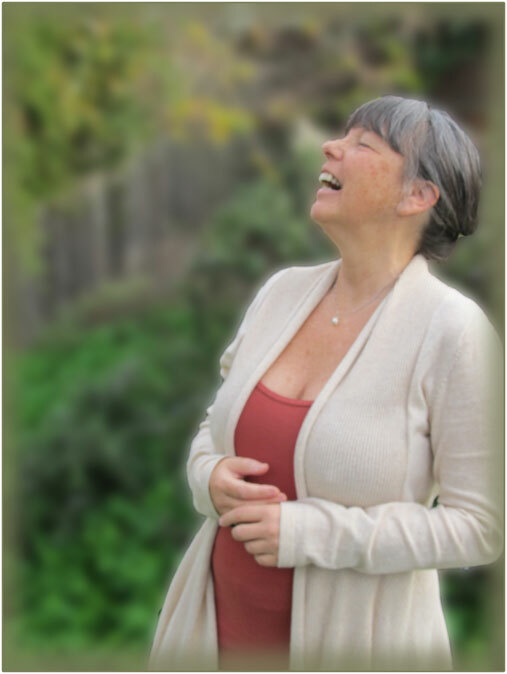 Carol Swann has been teaching voice, somatics (movement re-patterning & psychology), Alexander Technique, Authentic Movement, Contact and Performance Improvisation for 35 years in the United States, Latin America, Europe, Israel and Russia. She is Co-Founder and Director of Moving On Center School of Participatory Arts and Somatic Education which links somatics and the performing arts for social change (1994-2015). She has been the Assistant Director and primary faculty to Martha Eddy in the Dynamic Embodiment & Somatic Movement Therapy Training (DE-SMTT). She is a registered movement therapist/educator (RSMT, RSME through ISMETA) with a private practice in Somatic Psychology (blending Hakomi Method and Process Work) and the Alexander Technique. She is a group process and conflict facilitator and weaves her extensive studies and practices in Social Somatics, Body-Mind Centering and Laban/Bartenieff into all of her work. She has shared her dynamic, liberatory singing with groups of people internationally. Her work is influenced by her parents Bob and Marj Swann, Steve Paxton, Bonnie Cohen, Arnold Mindell, Ron Kurtz, John Cage, Meredith Monk, Balkan Singing, nature, and the history and practice of liberatory politics.